Yesterday, I tried to send an email on my iPhone. But it seemed that my email was stuck in my outbox. My email would not go. 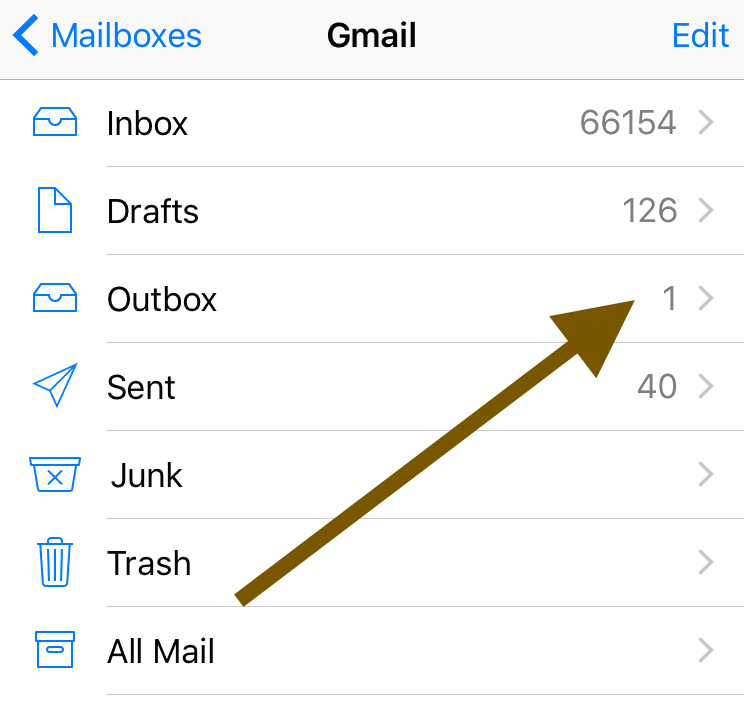 For some reasons, the iOS mail app could not reach the email server to send my mail. I wanted to delete it and resend again. but I could not delete the email because the “Edit” button was grayed out. 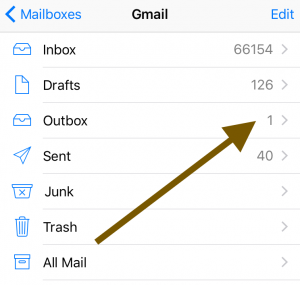 This short article explains how you can clear a stuck email in your outbox. 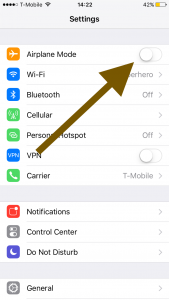 2-Restart your iPhone or iPad by pressing and holding the on/off (sleep/wake) button until you see the red slider. Slide the read slider. Wait a few seconds. Then again press and hold the on/off button until the Apple logo appears. 6-Tab Outbox. 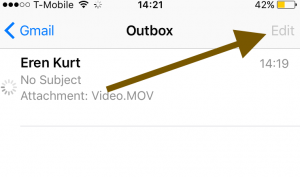 Note if you do not see an Outbox, this means that your email was already sent successfully. 7-Now you can tap Edit as you will see this option is no longer grayed out or dim. Did these tips work for you? Let us know. Thanks a lot! It was working for me! Thank god! Ive been trying got two days. THIS WORKED!!! Thank you! Sorry this did not work for me as I was prompted to turn off Airplane mode prior to accessing my e-mail outbox. I deleted the e-mails but once airplane mode was turned off in settings the mails appeared again. Any ideas? Awesome! Thank you for helping me fix this! FINALLY a “solution” that worked (iPhone 7)!! Many thanks for the tip, worked a charm! First time I’ve ever had this issue and it worked, THANKS! I had an email that just kept trying to send and I didn’t even know it. I followed the advice here and it worked great. Thanks. Don’t work, tried everything any other suggestions? Thought this was going to do it. Loved the visuals, thank you. Unfortunately, when I launch the mail app in ios 9.3.5, all I get is the white page before the app closes itself. Any further ideas are welcomed! This is the ONLY thing that worked! Sadly, this trick did not work for me. I’m on IOS 12.1.2. Any other ideas, please? This works. Thank you, thank you! Airplane mode did not work for me. Any other suggestions. Thank you SO much. Your tip worked! Very grateful!